As introductions go, Mohammed Mahdi al-Bayati’s takes some beating. 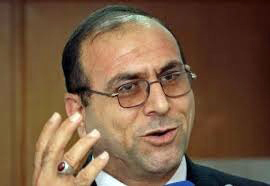 Described by his media consultant as “the person with the worst job in global politics”, Iraq’s minister for human rights carries his burden with grace. Mr Bayati, 52, an ethnic Turkmen, is a former foe of Saddam Hussein and still carries the physical scars of his efforts. The moral compass employed by many western societies who view decisions in black and white terms does not work for Mr Bayati. By necessity he inhabits a morally-grey world, wrestling daily with choices the likes of which will trouble mercifully few of us in our lifetimes. Take for example what he describes as the most shocking moment of his time in office. He talks of a 13-year-old Yazidi girl whose seven family members had been killed by the Islamic State of Iraq and the Levant (ISIL, now commonly called Islamic State, or IS). Kidnapped and repeatedly raped she was sold for $4000 US at a people-trafficking market held weekly in ISIL-controlled Mosul, Iraq’s second city. Through his office Mr Bayati supported the girl’s purchase and continues to endorse the purchase of of other women and girls. Does that encourage the kidnappers? “If you don’t buy for release,” he suggests, “they will be slaves.” In the absence of a military or (highly unlikely) political solution to the problem of ISIL, moral pragmatism such as this has to suffice. Choices and dilemmas. Buy the girl? Use the militia? Reinstate the death penalty? It is extremely hard to bring an unwavering moral line to these issues. Much discourse in the western world is couched in zero-sum absolutism as politicians take ethical lumps out of each other, spurred on by an increasingly uncompromising public. If only the choices were that easy.